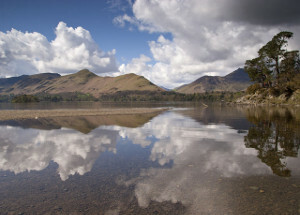 The Lake District is hilly, so it is not possible to offer flat walks. Barbara and I have devised walks which we hope will suit the group. In every one there is rather a steep ascent, mostly rough under foot, but we have tried to find easier descents. In a couple of cases there are optional shortcuts. We might decide to alter the order of the walks depending on the weather. The afternoons of Tuesday and Wednesday are free, and you will probably want to visit some of the area’s attractions. Obviously, you will have to pay your own entry fees. If you are a member of National Trust, bring your card and your car sticker. You might also find your bus pass useful.